Amid the ensuing market turmoil, the Reserve Bank of India announced measures that virtually banned crypto transactions. Cryptocurrency exchanges responded with a lawsuit that is due to resume hearings in the Supreme Court in September. Accusations of tax evasion and police corruption, a kidnapper who was kidnapped, a fugitive politician, and billions in bitcoin lost. This is crypto-trading Gujarat-style. The ingredients are part of an investigation in Prime Minister Narendra Modi’s home state into allegations that investors poured cash into a bitcoin-based Ponzi scheme that could exceed the country’s largest banking scandal. The fallout extends as far as Texas and has embroiled a former lawmaker, tarnishing Modi’s ruling party months before an election. It began in February, when property developer Shailesh Bhatt charged into the Home Minister’s office in Modi’s home state of Gujarat, claiming he had been kidnapped by a group of policemen and told to pay 200 bitcoin, worth some $1.8 million at the time, for his release. He said he had nowhere else to go. The state’s elite Criminal Investigation Department was called in and the evidence it has uncovered points to a potential fraud on an epic scale. Eight policemen have been indicted and suspended pending trial. The abduction was allegedly spearheaded by Bhatt’s associate, Kirit Paladiya, and masterminded by Paladiya’s uncle Nalin Kotadiya, a former lawmaker in Modi’s ruling Bharatiya Janata Party, according to Ashish Bhatia, the lead CID investigator. Bhatt has been charged too, as the allegations of kidnapping widened. Paladiya is now in jail, facing charges of abduction and extortion, and Bhatt and Kotadiya are both absconding, according to police. Kotadiya posted a video via Whatsapp in April denying wrongdoing and saying he’d informed authorities about the crypto scam, said Prashant Dayal, a senior Gujarati journalist who broke the story. In the video, reposted on Youtube, Kotadiya says Bhatt is responsible for the scam and threatens to release evidence that could implicate other politicians. Both Bhatt and Paladiya have denied wrongdoing, according to their lawyers. Between late 2016 and early 2017, Bhatt invested in BitConnect, a cryptocurrency firm that was being promoted in Gujarat by a man called Satish Kumbhani, according to Bhatia, the CID investigator, in an interview at his office late June. Kumbhani is one of the founders of BitConnect, which has allegedly scammed individuals across the globe, according to Crypto Watchdogs, a group of six investors who’ve filed a U.S. federal lawsuit against the company. The firm recruited clients worldwide to deposit bitcoin and receive BitConnect coins they could lend at interest rates of more than 40 percent a month. The interest they earned was higher if they recruited others to invest. Attempts to contact the company and Kumbhani for comment were unsuccessful. As the price of bitcoin soared last year from less than $1,000 to more than $19,700, so did BitConnect’s value. Bhatt and other investors in Gujarat poured bitcoin worth $3.2 billion into Bitconnect, according to Bhatia. The vast inflows from Indian investors were partly the result of Modi’s shock move in November 2016 to invalidate banknotes worth 15 trillion rupees in an effort to curb tax evasion, according to a chartered accountant in Gujarat. Modi, who faces federal elections in early 2019, ruled the state as chief minister for more than a decade before becoming prime minister in 2014 with the promise of stamping out corruption. As a result of Modi’s 2016 demonetisation, about 45 billion rupees ($650 million) flowed to Gujarat’s port city of Surat, to be hidden away in assets including cryptocurrencies, said the accountant, who asked not to be identified because his clients include some of the city’s biggest diamond and textile traders. Surat, the heart of the scandal, is famed for its entrepreneurial merchants who travel the world to set up a “dhandha,” or family business. Their tight-knit communities dominate Antwerp’s diamond trade and own a quarter of U.S. motels. In the days following Modi’s demonetisation — when Indians were given about 60 days to bank their higher-value banknotes or lose them — Google marked a surge in queries from the country on how to launder untaxed cash, or black money. Most of the searches came from Gujarat, Google Trends show. One answer was to switch to cryptocurrencies. Crypto chatrooms around the world soon were abuzz about a surge in demand from Indians who were paying a 25 per cent premium for bitcoin. While the initial rush may have been black money, there were cases of people selling houses and cars in hopes of doubling their investment, said the CID’s Bhatia. Then, on Jan. 4, 2018, the state of Texas filed a cease-and-desist order against BitConnect. North Carolina followed five days later. The news came as the price of bitcoin crashed. 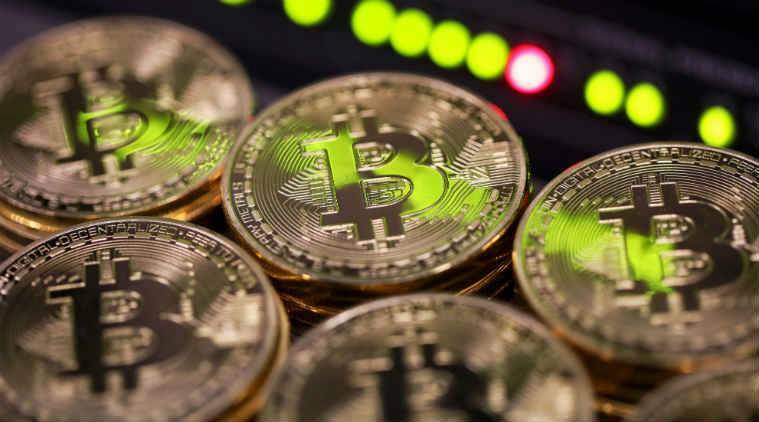 Investigators across Gujarat and in Delhi say complaints about crypto frauds began pouring in after the U.S. cease-and-desist letters. Still, those who had been trying to hide untaxed cash were in a quandary. If they went to the authorities, they would have to declare their investments. So Bhatt and nine accomplices — including Paladiya — kidnapped two BitConnect representatives in Surat and demanded 2,256 Bitcoin as ransom, CID investigators alleged. Paladiya, however, wanted more. He contacted his influential uncle, Kotadiya, and tapped the latter’s network in the local police to double-cross Bhatt and allegedly extort his bitcoin, according to allegations in police documents and interviews with investigators. They were confident of success, gambling that Bhatt wouldn’t go to the authorities and certain that the anonymity of bitcoin would make the heist untraceable, according to the investigators. They were wrong. Bhatt pressed charges. Bhatt himself has gone “underground” — Indian parlance for hiding to avoid arrest — because his appeal for bail was rejected, said his lawyer Rupesh Rupareliya. In a July 26 telephone interview, Rupareliya said Bhatt denies any wrongdoing and says that Paladiya handled all the bitcoin transfers as Bhatt wasn’t tech savvy. Paladiya’s lawyer Yogesh Ravani denied any wrongdoing by his client and said Paladiya was a victim of the kidnappers. On July 5, the opposition Congress Party held a press conference demanding the ruling BJP investigate the matter in Gujarat. Kotadiya is no longer with the BJP and since the Gujarat government initiated the investigation, it shows the government is dealing with the matter, said GVL Narasimha Rao, a New Delhi-based BJP spokesman. He asked Bloomberg News to speak to the state administration about Kotadiya’s threat to reveal more political involvement. Jitendrabhai Vaghani, BJP president for Gujarat, answered a call but disconnected when told the question was about the cryptocurrency fraud. He didn’t answer subsequent calls. The BJP had its worst showing in more than two decades when state elections were held in Gujarat last December. Shailesh Kumar, Asia director with political risk advisory Eurasia Group, said the alleged scam follows a string of high-profile frauds.